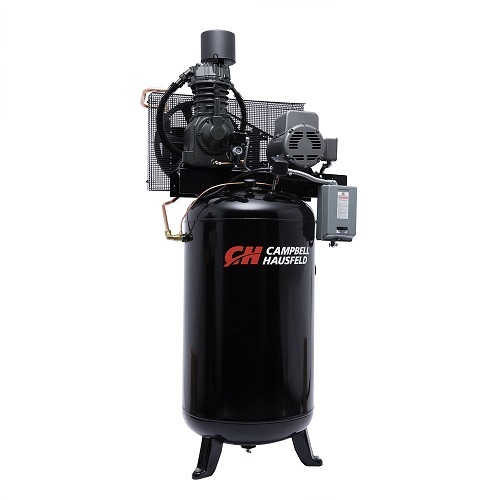 The Campbell Hausfeld 80-gallon, 7.5 hp, fully packaged air compressor (CE7000FP) is an ideal choice for tire and lube shops. 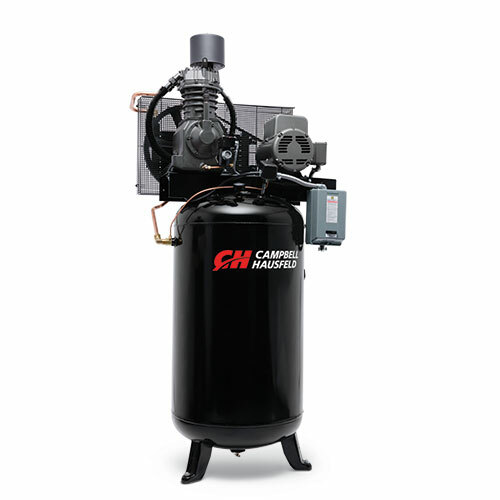 This air compressor has high air flow of 25 CFM @ 90 PSI to power multiple, high-demand air tools. It includes a long-life, cast iron, two-stage pump that’s designed to deliver more than 15,000 hours of operation. The pump head and valve plate feature an advanced design with Viton(r) high-temperature O-rings for superior high-pressure sealing when compared to paper gaskets. For smooth, low-vibration operation, the crankshaft is fabricated of ductile iron and optimally balanced. Isolation pads further minimize the potentially damaging effects of vibration and help contribute to reliable operation. 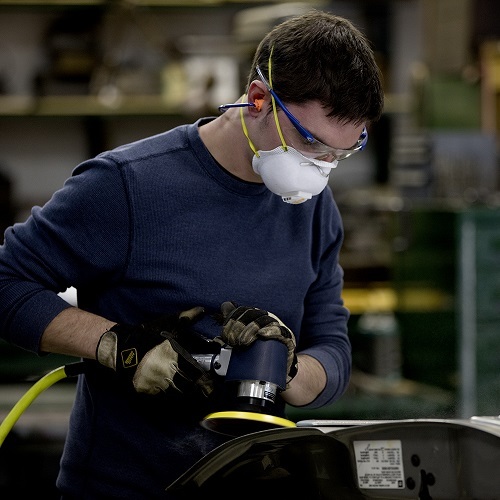 An aftercooler removes excess moisture from compressed air, helping to protect air tools. An automatic, electronic drain regularly removes moisture from the tank to minimize rust formation and extend tank life.